There are a number of ways to include more pepper in your diet. It seems like turmericisn’t the only ‘super spice’ India has given to the world. Now black pepper or kaali mirch has joined our much favored haldi to capture the fancy of health freaks around the world. Black pepper is something all Indian households invariably keep a stock of in their kitchens. It’s added to a variety of common preparations, both of the dish and drink kind. However, there’s now a hard-to-beat reason to include more and more of this spice in your food- weight loss. 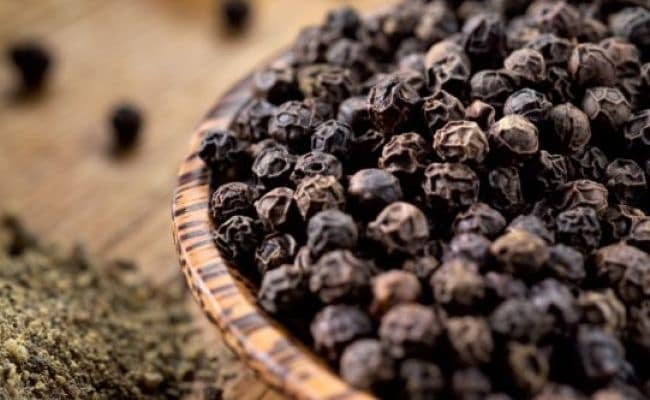 Researchers at the Sri Venkateswara University have found that the organic compound piperonal present in black pepper has the ability to reduce the harmful effects of high-fat and high-calorie diets. The study was done on rats, which were fed the compound over a period of six weeks and results were observed at the end of it. The rats were found to have lower body fat percentage and body weight attributed as the work of the piperonal. But these weren’t the only observed results. The rats were also found to have lower blood sugar levels and stronger bones as compared to animals that were fed fatty foods without pepper in them. The study’s results were published in November 2017 in the journal Nutrition and Metabolism. “Piper nigrum belongs to the tropical plant family Piperaceae, which is a rich source of diverse biologically active phytochemicals and food-grade spices. Piperine, one of the major pungent constituents of Piper nigrum, has been found to possess interesting pharmacological effects”, the authors of the study wrote in the journal. “Increasing evidence from in vitro and in vivo studies has shown that it (piperonal) possesses anticancer and neuroendocrine modulator effects. A few studies have demonstrated its expectorant, anti-flatulent and cholesterol-lowering properties”, said the authors talking about other health benefits of the compound. If you love your morning tea and don’t miss it even for a day, then adding just a pinch of black pepper can help you reach your weight loss goals faster. You don’t have to add a lot of it, if you don’t like to alter the milky flavor of the tea. Salt and pepper tea is especially beneficial for cold and cough in winters too. Sprinkle a little bit of kaali mirch powder on your fresh cut fruits or savory evening snacks to enhance the flavor and also reap the benefits of the benevolent spice. You can add black pepper to any infuseddetox water of your choice. An example is the honey lemon and ginger detox water. If you love cooking with infused oils, then you can make some by adding a teaspoon full of black peppercorns and some garlic cloves. All you need to do is simmer the two in oil over a low flame for about 20 minutes and then store it for later use. Add a few extra peppercorns to the bottle before adding the oil to it, if you want. You can make it using any oil of your preference. Additionally, black pepper can be added to tomato and sweet corn soups and also yogurt, a variety of dahi raitas and vegetable smoothies too.